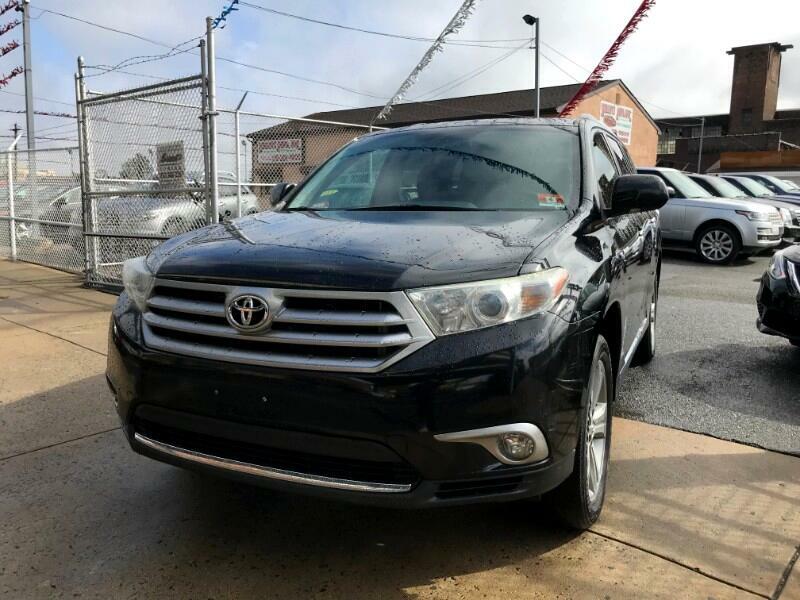 AMAZING 2013 TOYOTA HIGHLANDER LIMITED PREMIUM 7-PASSENGER LOADED WITH ADVANCED TECHNOLOGY PKG., RUINING BOARDS, PREMIUM JBL SOUND SYSTEM , LUGGAGE RACK, LEATHER SEATS, 3 ZONE CLIMATE CONTROL, AM/FM RADIO, BLUETOOTH, REAR-VIEW CAMERA, NAVIGATION, MULTI-FUNCTION STEERING WHEEL, 3 ROW SEATING, POWER MIRRORS. HEATED MIRRORS, POWER WINDOWS, POWER DOOR LOCKS, TOWING/CAMPER PKG, , AND MUCH MORE........ TIRES WITH ABOUT 95% TREAD LEFT ON THEM........WE FINANCE, BAD CREDIT NO CREDIT NO PROBLEM, APPROVAL IN MINUTES SAME DAY DELIVERY GUARANTEED...... DO NOT HESITATE APPLY FOR LOAN TODAY call 215-288-5277.......PRICE IS BASED ON $2,000 DOWN PAYMENT,PURCHASE OF THE EXTENDED SERVICE PLAN FOR 2 YEARS AND 24,000 ADDITIONAL MILES.......TAX, TITLE, REG. DEALER FEES ARE NOT INCLUDED.